A. Michael Berman Ph.D. has more than fifteen years of management experience in higher education and has served as the senior campus technology leader at 4 higher education institutions. He has been a member of senior education and administrative planning and strategy teams and has an extensive network of professional contacts in higher education and industry. He has been a frequent presenter on IT and education issues and topics. 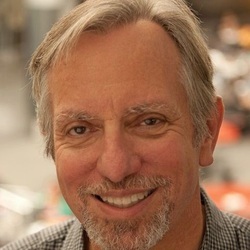 Michael received his Ph.D. in Computer Science from Rutgers University and has experience as a professor, consultant, author, and systems developer.